A low growing perennial plant, the Lily of the Valley is known as the most delicate and beautiful member if the Lily family. 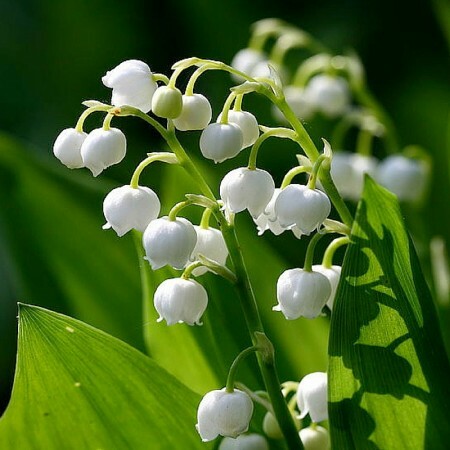 Producing a small and wonderfully fragrant bell-shaped flower, the Lily of the Valley is the official birth flower for the month of May. Symbolising sweetness, humility and chastity this flower is also know to signify a return to happiness. The flowers are normally white, but some may have a soft pink hue. A popular wedding flower, the Lily of the Valley has featured in numerous poems and was even the name of a song by UK rock band Queen!